Everyone loves a good story and yours is like no one else’s. As the old Gospel song says, “Nobody knows the trouble I’ve seen…Nobody knows but Jesus.” Only you have lived the life you’ve lived, experienced the highs and lows you’ve experienced and learned to know God the way you know God through those experiences. At the same time, There’s no temptation that’s happened to you (paraphrased) that’s not common to all man (I Corinthians 10:13). You get people’s attention real fast when they discover you’ve already faced what they’re facing. Your story is always relevant! That’s why your story is your easiest pathway for connecting with people spiritually. Everyone loves real-life stories that take them to where they’ve never been. In your case, you’re taking them into a personal relationship with the God who made them. As I mentioned before, a staggering 86% of unchurched people would like to know more about God and are looking for someone to tell them. That’s opportunity knocking on your door. The story of your redemption leads effortlessly into God’s story of redemption for them when you explain that even God Himself, through His Son Jesus, suffered and was tempted in all ways just like us (Hebrews 4:15). Now you’re bringing a distant God into their personal space and changing their entire concept of God. And because Jesus went through the same trials that they’ve experience, He understands their failures and will defend them before God His Father when they confess their sins and seek His forgiveness. This is staggering news for those who feel far from God. So how do you start thinking about telling your story? It’s very simple. As you examine the highs and lows of your life, you’ll come to realize that most, if not all, of your spiritual growth spurts have occurred under times of stress. Count it all joy when you fall into divers temptations; Knowing this, that the trying of your faith worketh patience. But let patience have her perfect work, that you may be perfect and entire, wanting nothing (James 1:2-4). It’s the trying of your faith that has made you what you are and why the telling of your trials and your story to the unsaved is so powerful. All of us have enjoyed the blessings of wholehearted faith and the consequences of no faith. Both these blessings and consequences have served their purpose in bringing you closer to God. Your unique story of how you’ve experienced the faithfulness of God is your testimony to the truth of the Gospel. Taking inventory of the highs and lows of your life is a life-changing experience. You’ll quickly realize that most, if not all, of your spiritual growth spurts have occurred during times of stress, when you’ve chosen to either trust God or shake your fist at Him. All of us have done both and suffered or enjoyed the consequences. The revelation comes when you realize that your times of faith and lack of faith have served well in their purpose of bringing you closer to God. 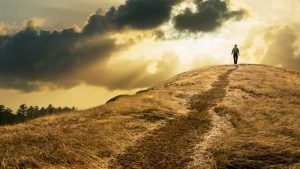 When you consider the depth of your sinfulness and the awesomeness of God’s forgiveness, you appreciate the path God has taken you down to get you where you are in Him today. God uses everything to amplify your dependence on Him and His Faithfulness to you. 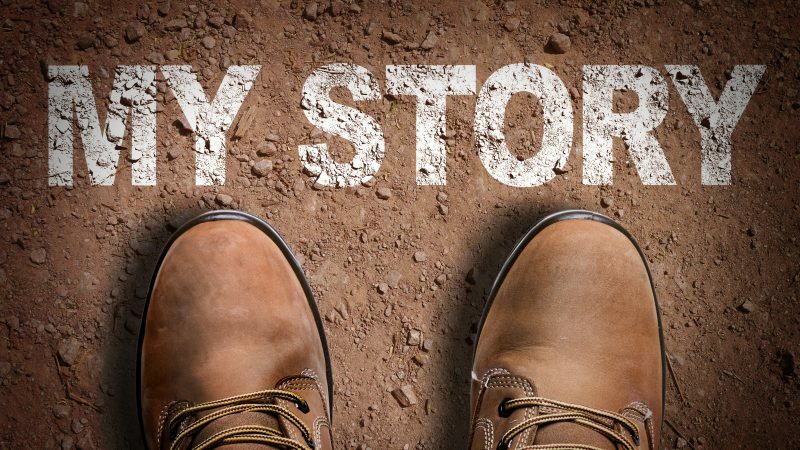 This is your story and your best tool for reaching the lost.